In contemporary conflicts, there is no epic without iPhones and Samsungs. Talking, taking pictures, and communication via smartphones have given rise to new social forms of grassroots participation and political activism, such as the Arab Spring mobilizations and the Ushahidi (“testimony” or “witness” in Swahili) platform, by making it possible to map out vital information in areas experiencing disasters or conflicts. 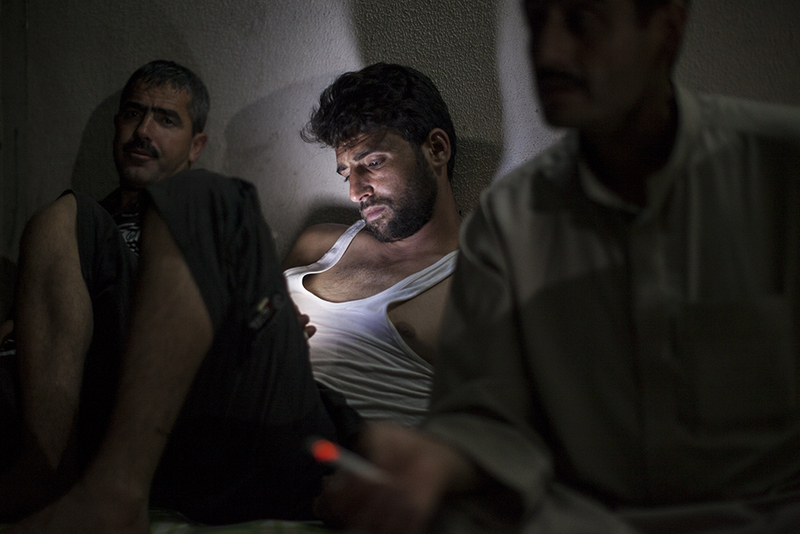 Liam Maloney has set out to highlight a more personal, heartbreaking side of the story by pointing his lens at people who are trying to keep in touch with loved ones from whom they have been separated by war. Liam Maloney was born in Montreal in 1975; he lives and works in Toronto. He was shortlisted for the Dorothea Lange–Paul Taylor Prize in 2014 and for the Lindalee Tracey Award in 2010, and he won a gold medal at the Canadian Online Publishing Awards in 2011. 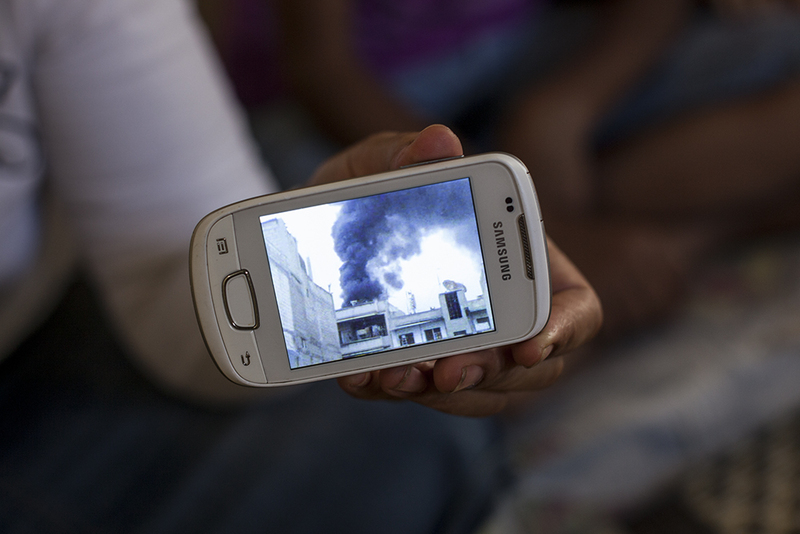 His installation Texting Syria (2014) was exhibited at the Images – Festival des Arts Visuels de Vevey (2014), the Photoville in Brooklyn (2014), and at the Scotiabank Nuit Blanche Festival in Toronto (2014). This work was nominated for Picture Story of the Year 2014 by the News Photographers Association of Canada. As a documentary photographer and videographer, he has spent recent years documenting refugee life in the Middle East and East Africa. His works have appeared in The Guardian, the National Post, Vice, and Mother Jones, on Discovery Channel, Global, and CBC, and in the White Ribbon Campaign. He is represented by Polaris Images.